Portions of this article were originally published in the International Banknote Society Journal, Vol. 23, No. 1, 1984, Vol. 30, No. 3, 1991 and Vol. 40, No. 1, 2001. Prior to the Korean conflict, General Douglas MacArthur had been Commander in Chief, Far East Command (CINC FECOM), headquartered in Tokyo. Following UN approval of the intervention, MacArthur assumed the additional role of Commander in Chief, United Nations Command (CINCUNC). On 11 April 1951, General MacArthur was relieved of his Korean command by President Harry Truman, following MacArthurs unauthorized and inflammatory policy statements. 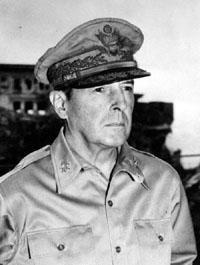 Lt. Gen. Matthew B. Ridgway replaced MacArthur as U.N. commander. 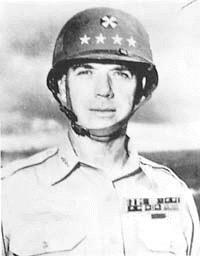 General Mark W. Clark assumed command from Ridgway on 12 May 1952, when Ridgway was appointed Commander of NATO. The brunt of the UN action was borne by the U.S. Eighth Army (EUSAK  Eighth US Army in Korea). 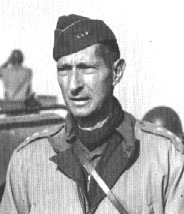 Commanding EUSAK at the beginning of the conflict was Lt. Gen. Walton H Walker. Ridgway succeeded him at EUSAK when Walker was killed in an automobile accident just before Christmas 1950. Lt. Gen. James A. Van Fleet replaced Ridgway when Ridgway became CINCUNC. Lt. Gen. Maxwell D. Taylor followed Van Fleet. 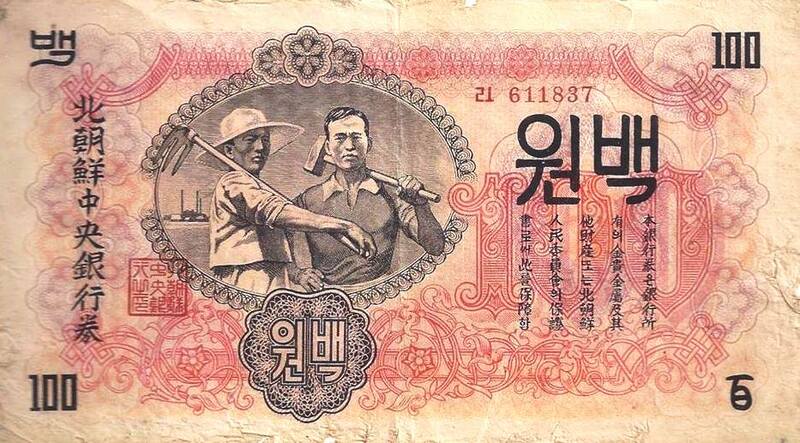 To be printed in color (red) to approximate a North Korean 100 won bill. The North Korean soldier will then be able to hide this pass among his North Korean money. 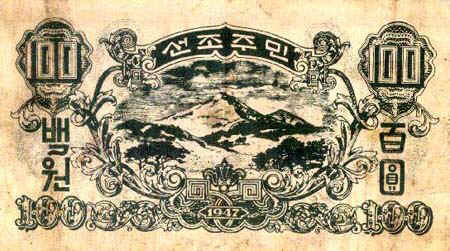 Reproduction of engraving used on Korean currency; with the United Nations flag; Eighth Army patch, and official Eighth Army chop on the front page. The leaflet is not a very good copy of a banknote. The design has some similarities to the scrollwork of a genuine banknote, but there has not been any real attempt to imitate the look of a North Korean currency. The leaflet was prepared in several different forms, in both the Chinese and Korean language. On the front, a United Nations flag is at the left, and an Eighth Army patch is at the right on all the varieties. A square "chop" below the Eighth Army patch reads in Chinese "Good care guaranteed by the U.S. Eighth Army." 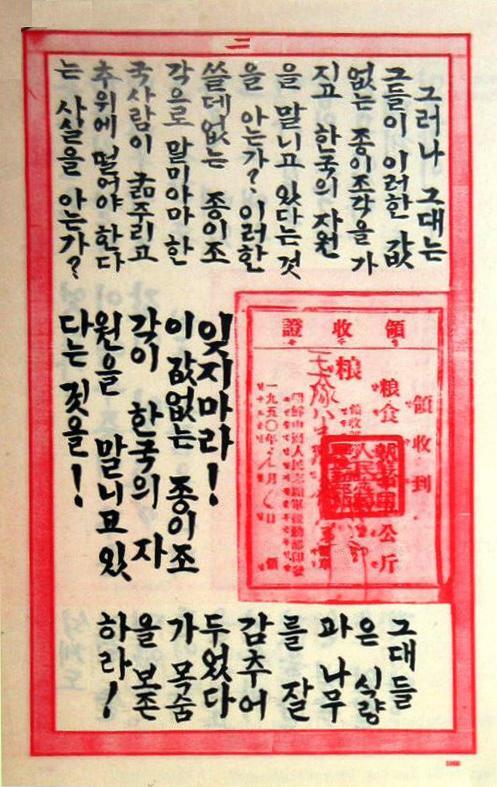 There are some differences in the texts of the leaflets aimed at the Chinese and Korean enemy. The Korean language leaflets have "United Nations" at the upper left and right on the picture side. "We welcome your submission, and guarantee to save your life" is at the top center. 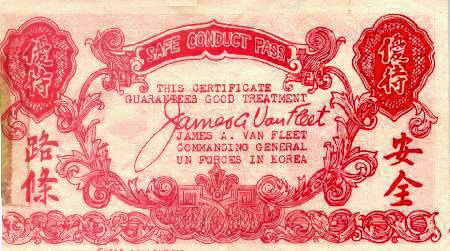 The leaflet has the words "Safe Conduct Pass," in large characters in the center, and the text "Commander, United Nations Forces" at the bottom. On the side with the text, the Korean-language leaflet has the words "Good treatment" at the upper left and right in Chinese characters. At the lower left and right, we find the Korean-language words "Your life," and "is guaranteed." Safe Conduct Pass. This certificate guarantees good treatment. (Signed) James A. 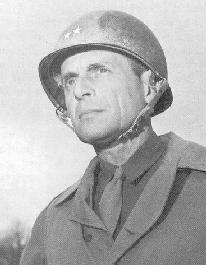 Van Fleet, Commanding General, UN Forces in Korea. 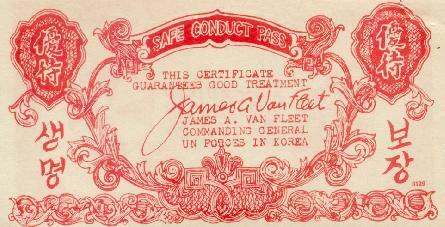 General Van Fleet was never the Commander of all UN forces in Korea. He was the commander of the Eighth US Army. He did also have a number of Allied units under his command. The Eighth Army psychological warfare section probably believed that the safe conduct pass would carry more prestige and "face" if it appeared to come from the commander of all UN forces. The Chinese-language version of the leaflet differs slightly. The leaflet has "Pass" at the upper left and right on the picture side. "Favorable treatment to all captives" and "Surrender and save your life." is at the top center. The leaflet has the words "Safe Conduct Pass," in large characters in the center, and the text "We won't take your personal belongings" at the bottom. A square "chop" below the Eighth Army patch reads in Chinese, "Good care guaranteed by the U.S. Eighth Army." On the side with the text, the Chinese-language leaflet has the words "Good treatment" at the upper left and right. At the lower left and right, we find the words "Safe" and "Conduct pass." One written reference to this series of leaflets occurs in the monthly report of the First Loudspeaker and Leaflet Company, for the period May 1951. Among the leaflets printed by the Press Section during that month, we find "Leaflet 8529. Chinese Currency Safe Conduct Pass." The date the leaflets were dropped is May 10, 1951. The number printed was one million on the first run, later an additional printing of 900,000. In all, four varieties of the Van Fleet 100 won surrender pass exist, two aimed at the North Koreans, two aimed at the Chinese. 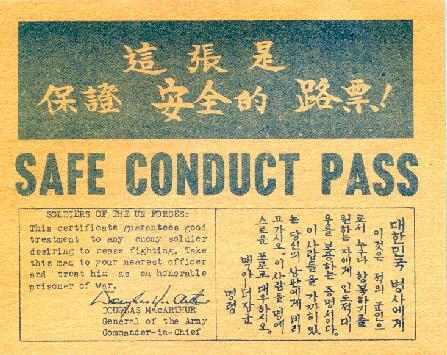 One of the most famous Korean War leaflets was the safe conduct pass, often printed with one side resembling paper money to insure that it would be picked up. They were dropped over masses of North Korean and Chinese troops, and they stressed that the soldiers would be treated humanely if they crossed the lines carrying one of the passes. Thousands did, even though they were threatened with execution by their officers if they picked one up. 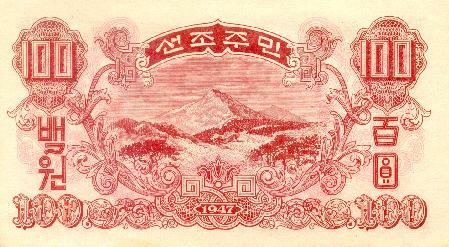 In every case, the banknote imitated is the North Korean 100 won note of 1947. During the Korean War, it was a no-no for enemy soldiers to have a leaflet on their person. If found on them, they were shot. Consequently, smaller leaflets were used so that they could be hidden more easily and read at a later date. Some leaflets were printed as money so the enemy soldiers could hide the leaflets between the real money he had. Above is a safe conduct leaflet of a type now being dropped over North Korean and Chinese troops opposing you. As indicated, it is a pledge of good treatment on our part to those of the enemy who can break away from Communist supervision in their units and come over peacefully. Other leaflets instruct such enemy troops, for their protection and yours, to: Desert their units at night; destroy their weapons; come over to our lines in daylight and along main routes or open country; come with their hands up and fingers extended. Air and ground loudspeakers repeat promises of good treatment. Word as to the type of treatment actually received gets back rapidly and largely determines whether the next man fights or surrenders. Therefore, YOU can help YOURSELF by giving enemy troops every reasonable opportunity to surrender and by feeding them, treating them well and allowing them to keep their personal property. REMEMBER, the more of them who give themselves up, the less you will have to fight. The size of this leaflet with its attached letter is 162 x 184mm. TO ALL KOREAN SOLDIERS. This certificate is offered by the United Nations forces to all North Korean and Chinese forces. This document guarantees safe passage and humane treatment to all Communist troops. Anyone who wants to surrender. We admonish North Korean and Chinese troops to leave their unit, disarm, and come over to the UN lines with their arms raised, during daytime. We offer this opportunity to you to come over with us and be treated humanely, as many of your comrades have done before. One published report mentions that Van Fleet banknotes were airdropped over North Korea sometimes in 1951 by helicopters assigned to the United States battleship New Jersey. This official United Nations certificate is your guarantee of safety. When you decide to cease resistance, present this certificate to any United Nations soldier. My official instructions (in English center) order all United Nations soldiers to treat you honorably and well when you come over to the United Nations lines. Signed: Matthew B. Ridgway (also in Korean characters plus his chop). 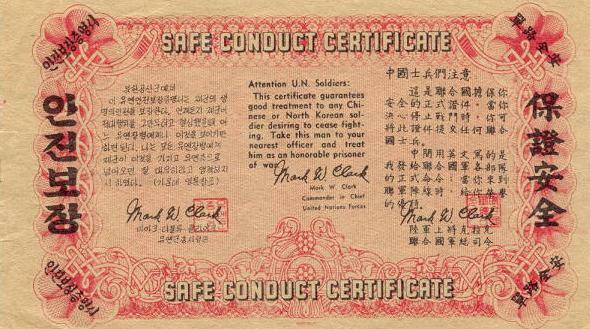 This certificate guarantees good treatment to any Chinese or North Korean soldier desiring to cease fighting. Take this man to your nearest officer and treat him as an honorable prisoner of war. Signed: Matthew B. Ridgway, Commander in Chief, United Nations Forces. Signed: Matthew B. Ridgway (also in Chinese characters plus his chop). My father, Marvin R. Warshaw, was a First Lieutenant assigned to the First Radio Broadcast and Leaflet Group of the United States Army during the Korean conflict. His job was to oversee the design, printing and deployment of propaganda leaflets throughout China and North Korea. 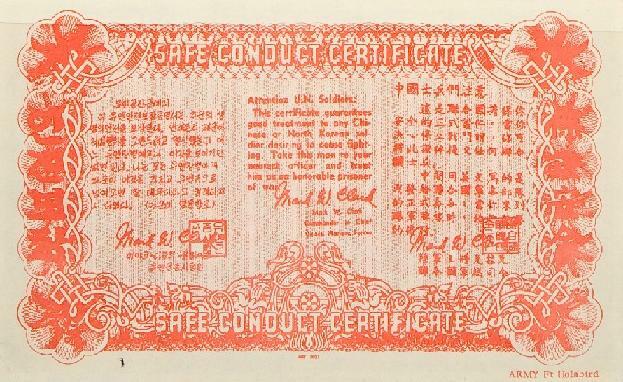 Though he did not create any of the artwork himself, he did design many leaflets, including the famous "Safe Conduct Certificates" shaped like North Korean 100-won notes. By "design" I mean that my father was responsible for the layout, print, type of ink used, colors, fonts, sizes, the positioning of the art work and choosing the paper for printing. He did not illustrate the leaflets himself or create them, only designed them. According to Dad, he was the one who came up with the idea for the fake 100-won notes, during a "brainstorming" session with other members of the group. It was thought that these banknote leaflets would be effective because many of the Chinese soldiers were illiterate. There was no effective countermeasure until my father and some of the units printers discovered a special type of ink that turned the orange-red banknote leaflets black when exposed to sunlight. The printers stumbled onto the color-changing properties while experimenting with inks. The color-changing notes were made from a type of orange film or acetate that was used by printers to make printing plates, where they wanted to mask off areas they did not want printed. The material would turn black and disintegrate when exposed to sunlight. Unfortunately, the special coating used to cause this effect also made the notes deteriorate rapidly, but the advantage of this effect is that it mystified the Chinese, who thought it was "magic." The idea to use this material was my father's. The Chinese and North Korean soldiers were very superstitious and thinking that these notes possessed some magical qualities, many surrendered out of fear upon seeing the color change. My father said that to his knowledge none of the color changing notes have survived. According to Dad, Far East Command would send about 50 to 100 themes each month to the First Radio Broadcasting and Leaflet group. Then they would design leaflets based on those themes. The officers would review and approve them and then Dad would schedule drop by B-29 bomber. I have never heard of this color-changing banknote before. I find the idea of a banknote turning black in the sun to be a rather novel idea. How did the banknote stay red until found by an enemy soldier? Was there a time required for the chemical change to take place? It would be interesting to find out more about this particular operation. It reminded me of a banknote I have where the red parts have all but disappeared just leaving the parts printed in black. I always assumed it had been in the sun for a long time and had faded - otherwise it shows no deterioration. But could it be one of the leaflets referred to above. It doesn't quite fit the description but perhaps the story has changed in the telling! At one point, I developed two different surrender passes. These were done on paper similar to the paper used for genuine Korean Won notes. One side looked exactly like a Won note, the other side, printed in black and orange inks had surrender instructions. The ones dropped over North Korea had extensive explanations on how to properly surrender written on them. The ones in Chinese had cartoon-like drawings on them, but hardly any writing, since, aside from their officers, the Chinese troops were illiterate, poorly clothed, mostly barefooted boys right off the farm. A report from the commanding officer of the Signal Troop, Second Regiment, Royal Canadian Horse Artillery, states that his troops were able to place more than one thousand of the Ridgway leaflets in an artillery shell and "sprinkle them like snow." They were fired at the enemy whenever their troops in the line were changed. The Communists considered possession of these surrender passes to be proof of intent to desert, a charge usually punishable by death. Rumor had it that if enemy officers found their troops carrying these passes, it was an indication that they planned to desert - which incurred the death penalty without trial. So the US propagandists used the design of a North Korean banknote to print one side, with the Safe Conduct Certificate on the other. These could then be concealed with their money. We rolled up a bundle of the banknotes, wrapped it tightly with a string, and then pasted a paper band around the roll. The roll was made just right for a snug fit into the shell casing. It was lowered into the shell casing; the string was then pulled to tear the paper band so the bundle wouldnt be ejected as a lump. Three such rolls filled it quite snugly. I dont know just how many were in each, but we filled several shells that evening. I did not see the burst but they said they fluttered down like snow, just as we had hoped. At the end there were still many banknote leaflets left over so I kept a wad, which I used to give out as mementos back home. Although this happened some 50 years ago, the incident is clear in my memory - but not the names of my artillery friends. It was just a small incident, but at that boring stage of the war, it made an interesting evening. Were they effective? I really dont know. I only know of one Chinese who turned himself in at our battalion HQ. He had apparently found his way through our forward mine and trip-flare fields at night, using rice straws to feel for mine wires, and walked right into our HQ. We didnt notice him until he just walked up to our adjutant and presented the safe conduct pass. We had South Korean units serving as ammunition and ration bearers there; we mistook him for one of them. Conditions were so bad for the Communist soldier that he was willing to risk being shot by his own officers if he tried to surrender. So PsyWar printed hundreds of thousands of cleverly worded safe conduct passes with a facsimile of Matt Ridgways authentic signature . . . Political commissars attached to each Communist unit tried to frighten soldiers from even picking up the passes. They were told that the Americans had saturated the paper with disease organisms that would cause a man to die a lingering and hideous death. Notice that the above uncut sheet of two Ridgway banknotes coded 6015-9017 are printed back-to-back. In printing this is called tete Beche, where one item is upside down in relation to the other. On May 12, 1952, General Ridgway was appointed Commander of the North Atlantic Treaty Organization. He was replaced as UN military commander by General Mark W. Clark. The Ridgway surrender pass must have been considered a great success, because an almost identical replica was immediately produced with the only major changes being the signature and signature block of General Clark in place of that of Ridgway, and the new code number of 6027-9027 at the bottom of the front and back of the leaflet. This leaflet was prepared by the First Radio Broadcasting and Leaflet Group, and was ready for dissemination on May 19, 1952. REMARKS: Safe Conduct Pass based on the design of a North Korean 100-Won note. ARTWORK: The side of the note showing the mountain scene is the same as the original note; the other side has been adapted to fit Psywar needs. This official United Nations certificate is your guarantee of safety. When you decide to cease resistance present this certificate to any United Nations soldier. My official instructions (in English, center) order all United Nations soldiers to treat you honorably and well when you come over to the United Nations lines. Overprinted in the corners of the borders are the words, Safe Conduct Certificate, Running vertically in both borders are the words Your Safety Guaranteed. There are two interesting varieties of the Clark banknote which may have been printed during the Korean War or shortly afterwards. The text would seem to indicate: Army Forces Far East / 8th Army Troop Information and Education. The variety was printed on white paper and the overprint is probably in letterpress. The note was most likely distributed at a seminar or briefing as an example of work done in combat. I have seen only four copies of this variety on the last 50 years. 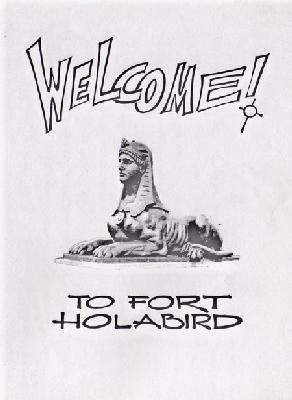 Camp Holabird is in Maryland near Baltimore, and, as Fort Holabird, was the home of the U.S. Army Intelligence School during the Korean War. 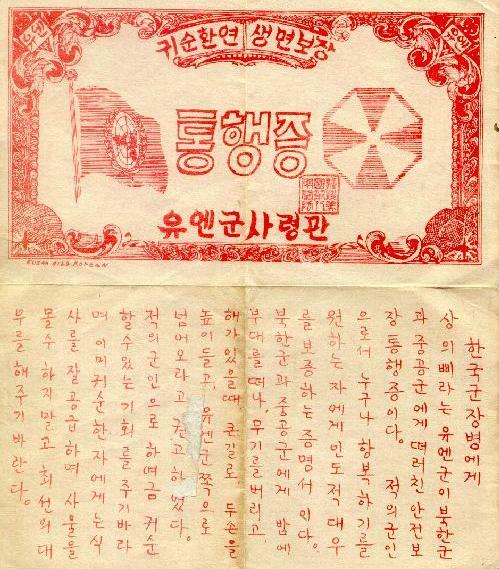 The note was probably printed there as an exercise or to be given to important visitors as a souvenir of Korean War propaganda. Did these safe conduct passes work? We will never know exactly how many Chinese and North Korean troops surrendered waving the fraudulent 100 won notes over their heads. However, at the end of the Korean conflict, 132,000 prisoners were held by United Nations forces. There can be no doubt that a large percentage of these were due to the propaganda campaign of offering good treatment to any Red soldier who would voluntarily surrender. The Chinese had been told that they would be tortured and killed by the Americans if captured. 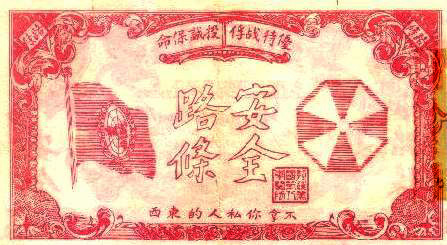 It was through these banknotes and other propaganda media that the Communist troops learned that they were welcome to give themselves up and that their safety was assured. SAFE CONDUCT PASS. 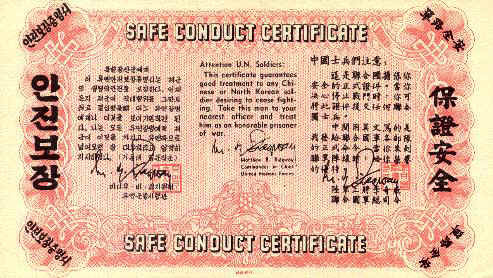 Soldiers of the UN forces: This certificate guarantees good treatment to any enemy soldier desiring to cease fighting. Take this man to your nearest officer and treat him as an honorable prisoner of war. (Signed) Douglas MacArthur, General of the Army, Commander-in-Chief. Notice the choice of words. As in MacArthurs WWII safe conduct passes to the Japanese, nowhere does this leaflet mention the word "surrender." The communists do not surrender, they simply "cease fighting." A fine point of "face" to the Asian mind. 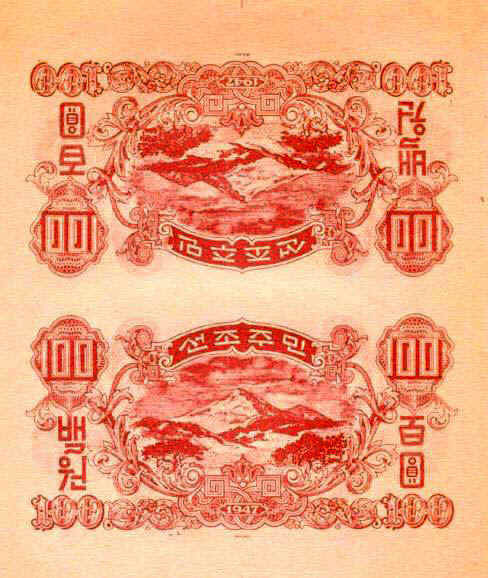 Several Korean banknotes are known with English-language overprints on the back. 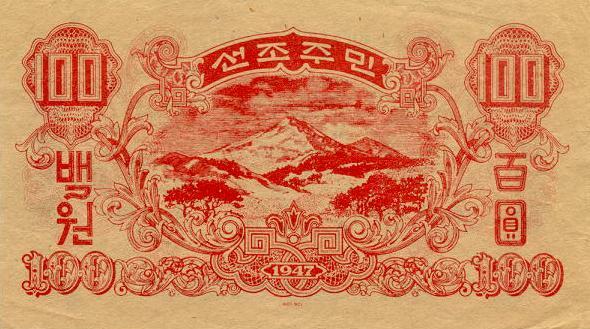 Although little is known about the origin of these overprints, it is assumed that they were prepared by American military units stationed In Korea as commemorative souvenirs during the Christmas season. 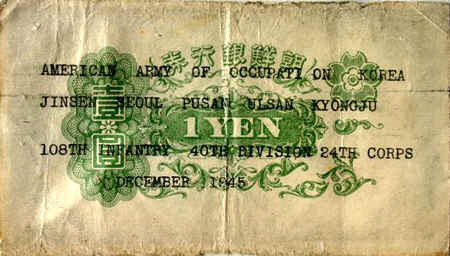 The first banknote is a 1 Yen/Won banknote issued in Korea when US liberation troops were first stationed there. These Yen denomination bank notes were used in Korea under the Japanese regime. When the American forces occupied the peninsula they simply confiscated the printing plates and the notes on hand and continued print such notes until new South Korean currency was introduced in 1949. 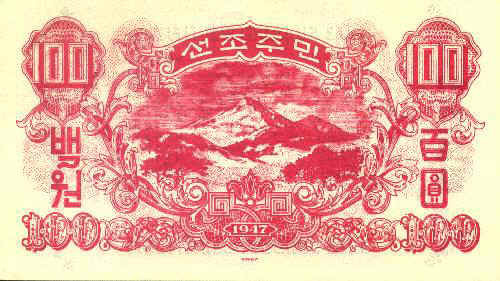 The second overprinted souvenir is a Bank of Korea 100 won note of 1950. It was discovered mixed in with some United Nations safe conduct passes and propaganda leaflets. It is assumed that the bright green overprint, "Merry Christmas Korea 1951" was done by an American Army or Air Force unit during the Korean War and probably sent home in a Christmas card. 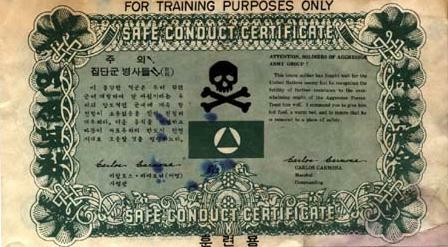 This official certificate guarantees your safety by the Aggressor Nation. You may present this certificate to any Aggressor soldier when you decide to cease fighting. The Esperanto statement at the left is my official order to my troops to give you safe passage and reads as follows . . . (Signed) Wolfgang Francois Umberto, Field Marshall, Aggressor Army, Commander-in-Chief, Northeast Asia Forces. This pass was used during war games and for psychological warfare training. It is doubtful that any of the young soldiers finding the pass knew of its Korean War origins. There is a second green banknote leaflet, but it has several differences, the most notable being that a Korean propaganda text has been printed on the back. 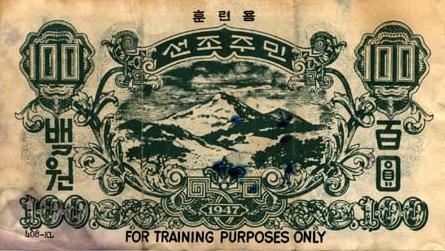 The front of the note is the usual scene of a Korean mountain with the Addition of the words in English at the bottom and Korean at the top, FOR TRAINING PURPOSES ONLY. The banknote leaflet bears the typewritten code number 408-KL at lower left. ATTENTION SOLDIERS OF AGGRESSOR ARMY GROUP. This brave soldier has fought well for the United Nations enemy but he recognizes the futility of further resistance to the overwhelming might of the Aggressor Forces. Treat him well. I command you to give him hot food, a warm bed, and to insure that he is removed to a place of safety. (Signed) Carlos Carmona, Marshall, Commanding. We dont know exactly why this banknote was prepared or what it was used for. It could be a training leaflet, a souvenir, or it could have had some monetary value. I believe it was issued during the Korean War because it depicts three jet fighters and they seem to have been at Moffett Field only during the 50s. The banknote also shows the giant Hangar One used to house Navy airships in the days of the big Zeppelins. The naval air station (NAS) was authorized by an Act of Congress, on 12 February 1931. The original station was commissioned on 12 April 1933 and dedicated NAS Sunnyvale. After the death of Rear Admiral William A. Moffett, who is credited with the creation of the airfield, in the loss of the USS airship Akron on 4 April 1933, the airfield at NAS Sunnyvale was renamed NAS Moffett Field on 1 September 1933. During the 1950s, Moffett Field served as the fighter base with the F9F Panther and the FJ3 Fury aircraft. By 1961, the last fighter aircraft had left Moffett Field. Hangar One, a Naval Historical Monument, is one of the world's largest freestanding structures, covering 8 acres. The hangar was constructed in 1931. In May 2008, The National Trust for Historic Preservation listed Hangar One on their list of America's Most Endangered Places. Black PSYOP  Counterfeit Korean Currency. The United States did not only produce safe conduct passes that resembled the 100 won notes, they also counterfeited them. To establish in Korea, the cadre of partisan organizations that will perform covert-type missions of sabotage and intelligence, and be capable in organization and training so that, when supplied on a large scale, it may be expanded into large forces that can be employed in conjunction with a major effort of UN forces. At about the same time the Eighth Army authorized a unit with the innocuous name "G-3 Miscellaneous Division." "G3" is the general staff title for "operations." The unit was to be responsible for the planning, training, and support of unconventional operations. On 10 December 1951, the 8240th Army Unit (AU) was activated. In January of 1952 the Combined Command Reconnaissance Activities, Korea (CCRAK) was activated. This was actually a cover name for the classified designation, "Covert, Clandestine, and Related Activities - Korea." Most of the partisan warfare units came under the command or control of these two organizations. Within these units there were operational areas called wolf packs, unconventional warfare groups in sections, task forces, and even small groups called "donkeys," "white tigers," or "rabbits." There have been several books written on this subject and interested readers can search them out. I recommend Colonel Michael E. Haas's books Apollo's Warriors, Air University Press, Maxwell AFB, Alabama, 1997, and In the Devil's Shadow, Naval Institute Press, Annapolis, Maryland, 2000. There was a need for currency by the agents being sent north. The need was so great that an official military document exists that encouraged criminal actions on the part of U.N. partisans. The title of the document is "Guerrilla Operations Outline," dated 11 April 1952. It was a standard operating procedure (SOP) for the independent units that took part in guerrilla and partisan military operations behind the enemy lines in North Korea. The 4-page memorandum was sent from Headquarters, Far East Command Liaison Detachment (Korea) to the commanders of the "wolf packs" in the field. It is signed "J. Y. D. Vanderpool, Lt. Col. Artillery, Officer in Command." Vanderpool is identified as a CIA agent by some sources. Section 11 is entitled "North Korean Currency." The author says, "Due to the large requirements for North Korean currency and the limited resources available, commanders will encourage bank robberies and other suitable means of procuring this currency." There was an easier way to acquire the funds needed to operate behind the lines: United Nations forces simply counterfeited the money of North Korea. Korean Partisan Medal awarded to American and Korean agents who operated behind Communist lines in North Korea during the war. An agent who dispersed the banknotes told me"
I dont know who did the actual forging, South Korea or the United States, but forged North Korean 100 Won notes were used to supply agents sent by the U.S. or South Korea into North Korea. The fake won would arrive in neat 10,000-Won bundles. The quality of the paper, texture, engraving, and printing was excellent, and it was difficult to distinguish the forgeries from genuine notes. However, the genuine North Korean notes were usually printed slightly off-center, whereas the forgeries were perfectly centered; the forgeries were too good! This became known to North Korean intelligence, and resulted in the loss of several agents. Every time I received such notes for an agent, we would fold every bill and check the centering to make sure our agent carried only banknotes that looked genuine. We dumped the won into our classified trash burner. We would spin the money inside the drum (complete with its charring) until the notes lost their new look. We gave our agents about two or three thousand won in 100-Won notes because any more would raise suspicion. We also issued them penicillin (from Japan), pre-WWII Japanese silver 1-Yen pieces, several 1-ounce gold bars, and three to four large well-worn gold rings. Agents also carried gold teals that were broken into 1/4 ounce sections, fountain pens, wrist watches and other highly sought after items to be used as barter. The notes were received in bundles, and at least some of them were distributed by agents sent into North Korea aboard United States Air Force crash rescue boats. I recall talking to members of the boat crew who said that they used to sit around in a hut on Cho-do Island during the slow periods, rubbing the counterfeits with coffee-stained fingers so they would look used. Cho-do Island is located just off North Korea's western coast. It was a primary base for agent insertion, airborne and crash boat operations 100 miles behind enemy lines. One of the officers of the boat crews who took the agents north told me that the counterfeits were received in "bales." He said that they were used in a dual operation, both to distribute in North Korea in an attempt to destroy their economy, and to be used by U.N. agents behind enemy lines. He said that in some cases the agents were resupplied with additional counterfeit currency when they spent the supply they had brought with them. He added that the UN also counterfeited various documents such as military leave papers, travel permits, train tickets, and even prescriptions for drugs. He said that the source of all these items was a printing plant in Japan. This latter part of his story is reinforced by a comment from Patrick J. Kiger who wrote part of Inside the CIA for the Discovery Channel. He said, "During the Korean War, the CIA created convincing forgeries of Chinese military documents and managed to slip phony orders into the Chinese command network to confuse soldiers." The enemy's economy and monetary systems are legitimate targets of war, a fact not lost on Mr. Nichols imagination (a reference to Donald Nichols, an American commander of unconventional warfare detachments during the Korean War). The wily commander had the boats under his operational control take bundles of forged currency to North Korea for agents to distribute it. 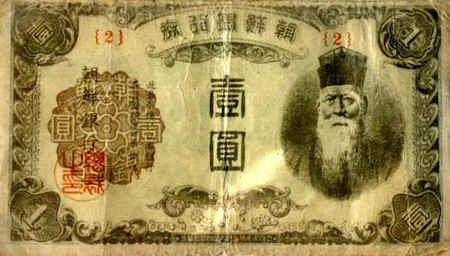 Far East Command turned to its commercial quality printing presses to print the required counterfeit money. It is not stated anywhere in print, but it is my understanding that the printing presses of a well-known military newspaper were used to produce the counterfeit banknotes. We assume he implies Stars and Stripes. There is the possibility that the counterfeits were not prepared specifically for the agents. It is rumored that early in the war, such counterfeits were made to drop over North Korea to destroy their economy, but government officials in Washington vetoed that plan. There is a persistent rumor that the First RB & L Group prepared both 100 won and 1000 won notes for an operation that was later aborted. If that is true, then the banknotes might have been stockpiled in a warehouse, quite coincidently ready for use when the need arose. I heard this rumor from two officers, one a U.S. Army Ranger attached to Task Force Scannon. He had used the counterfeits but knew little about their origin and believed they had been forged in Korea somewhere along the East Coast. The Chinese Communists think that they can strip Korea of such vital life necessities as food and firewood in exchange for scraps of paper. The Korean people are not such fools as to believe that these worthless scraps of paper will later bring actual compensation! But do you realize by taking your food and firewood the Chinese Communists are draining the Korean people of their wealth and natural resource? Remember! More of these worthless requisition receipts can mean only that more Koreans will suffer from hunger and cold. With this currency they did not buy the Koreans. With this currency they will not buy the Italian people. After the end of the Korean War in 1953, the citizens of the Democratic Peoples Republic of Korea had no access to information from the West. Typical newscasts heard daily on their government radio stated that the Korean War had been forced upon the peace-loving North. Their brothers in the South were living in poverty, starvation, and enslavement by foreign imperialists. In 1963, the 7th Psychological Operations Group (Korea detachment) was given the task of disseminating western news and propaganda into North Korea. The program was called "Operation Jilli." "Jilli" is a Korean word meaning "truth." The plan called for American aircraft to fly along the southern edge of the demilitarized zone or well out over the open sea and drop millions of leaflets that would be carried by wind currents over North Korea. The content of the program was initially designed to present the ROK in a favorable light through information concerning economic, social and political progress and prosperity. The following information on this operation was found in unclassified military documents. The first Jilli mission was flown on 30 June 1964. C-47 aircraft flying at altitudes up to 15,000 feet dropped over 19 million leaflets. Each C-47 mission carried 3,000 pounds of leaflets. Larger C-130 cargo aircraft were added to the program in 1965, resulting in 98 million leaflets being disseminated from 25,000 feet. Each C-130 carried 20,000 pounds of leaflets with quantities ranging from ten to sixteen to twenty million leaflets depending on leaflet size(s) used. In 1966, 183 million leaflets were dropped. The operation continued for several more years but no further statistics are available. Drift and dispersion characteristics of the leaflets were carefully studied and it was reported that controlled drift of 250 miles was accomplished when the leaflets were dropped from 25,000 feet. Area coverage ranged from several thousand square miles up to as many as 18,000 square miles on a single leaflet mission. Of course, the greater the coverage, the less the leaflet density on the ground. One agent told me that he could literally drop his leaflets on Kim Il Sungs doorstep from 200 miles away. Although hundreds of different leaflets were developed, for the purposes of this article we will just discuss those that were made to look like a North Korean Central Bank 1 won note of 1959 with the back bearing a safe conduct pass message. 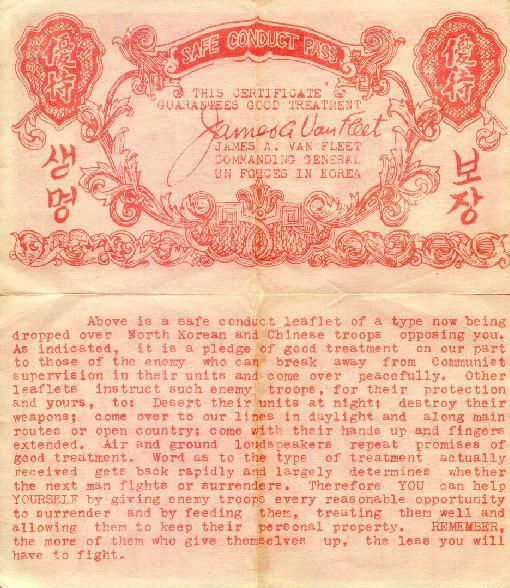 The banknote leaflet was coordinated through various agencies in Korea and printed by the 7th PSYOP Group Japan Detachment. 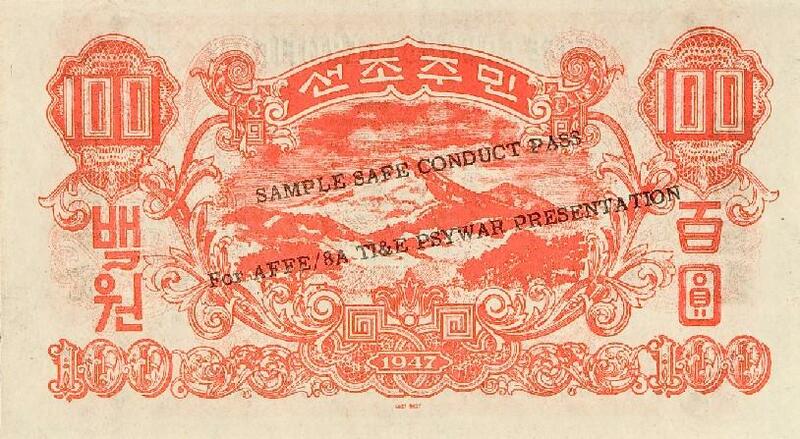 The Safe Conduct Pass consisted of a faithful reproduction of a North Korean one won note. The reverse consisted of the one won note border, the Republic of Korea National Flag in full color, a message indicating it was a Safe Conduct Pass, and the signature of the Chairman of the Joint Military Staff, Republic of Korea Armed Forces. The idea for using a North Korean one won note was to enable the target audience to "hide" the bill by placing it in with other bills. This would prevent detection through any casual search, but not one where it was the item of the search. The project was not coordinated with the Korean Psychological Operations Intelligence Desk. The illustrations we will depict in this article do not represent the quality of the actual leaflet. None came out of North Korea, so we can only depict photocopies from official military documents. Much of the technical data of this particular leaflet is known. The size of the banknote is 5-27/32 by 2-7/16. Twenty-pound paper was used. The number of leaflets per pound was 656. The V sub o (ground rate of descent; or falling rate): 1.5 feet per second. The spread factor (R sub T divided by T sub O): .14 (point fourteen). The slow falling rate of 1.5 feet per second combined with a very small spread factor of .14 results in long drifting from the release point, but with limited ground coverage (thereby resulting in increased leaflet density on the ground). For example, for each mile of drift, the spread on the ground is .14 miles. This contrasts with the leaflet used in both Iraqi wars with a faster falling rate of 2.5 feet per second, but with a spread factor of 1.11. This resulted in 1.11 miles of dispersion (along the direction of the blowing wind) for each mile of drift. For standoff delivery against North Korea, the most common leaflet used had a falling rate of 1.8 feet per second and a spread factor of .91. This resulted in deep penetration into North Korea with .91 miles of spread for each mile of drift. (All of these spread factors are increased slightly by the factor of altitude (ground dispersion in the still air effect). 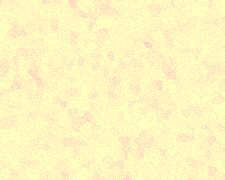 A fifty mile drift to the center of the leaflet mass using a falling rate of 1.8 and spread factor .91 resulted in a spread over forty-five miles. This leaflet enabled the delivery system to place leaflets in Pyongyang with closest aircraft approach of 110 miles. Drops occurred from altitudes up to 25,000 feet using C-130 aircraft. The banknote leaflet is know in three versions. Two are almost identical with the only change being the signature of the Chief of Staff of the Army of the Republic of Korea. The third note has not been disseminated. It is apparently stored in various secret locations until such time as the renewal of hostilities on the Korean peninsula occurs once again. To soldiers of the Peoples Army. This Republic of Korea safe conduct certificate (actually "certificate of security") provides you with an opportunity for a new life. Bear in mind that your present toil will never change until the Communist regime collapses. Why should you give up your happiness? Please cross over to the South without hesitation. When you come to South Korea, this certificate will guarantee your personal safety when shown to any Republic of Korea or United Nations Command serviceman. We will warmly welcome you. You will be rewarded with money, employment, housing and freedom. Your safety is guaranteed with or without this leaflet. (Signed) KIM Yong Bae, General, Republic of Korea Army, Chief of Staff. The second version of this same banknote leaflet is coded S-10-68. Declassified documents indicate that this leaflet was prepared on 2 July 1968 for dissemination in October of that year. It is identical except for the signature of the new Chief of Staff, "Kim Kae Won." SAFE CONDUCT CERTIFICATE. HQ United Nations Command. Attention UNC Forces: This certificate guarantees good treatment to any Chinese or North Korean soldier desiring to cease fighting. Take this man to your nearest officer and treat him as an honorable prisoner of war. 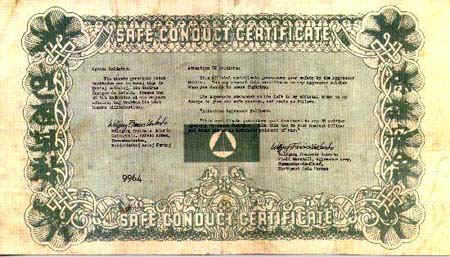 SAFE CONDUCT CERTIFICATE. This leaflet is designed to be used in case of a future war. It might be dropped as is, or the signature of a commanding officer could be added at a later date. Note that although we do not know if the Chinese will be involved in this future war, we name them, and we name them before the North Koreans. Note also that we use the WWII wording "cease fighting" rather than "surrender." The facsimile of North Korean paper-money on the safe conduct pass was so hard to distinguish from real money that it was occasionally used to purchase goods at stores. I saw the one won note safe conduct certificate at the Pantu Museum in Kaesong. I notice that some of the other visitors around me in the museum were also staring at it for some time, amazed at the nearly complete similarity between the one-won note on the leaflet and the real North Korean one-won note. I heard that a one-won note leaflet with a defector certificate on one side was receiving considerable attention from the public. On June 18th, I saw a warning about this leaflet posted on the bulletin board of the Social Safety Detachment. The warning read, "South Korea has spread leaflets similar to North Korean money in the Kaesong area. As a result, there seems a possibility of economic disorder. Those having leaflets in their possession are warned to report them without delay. Persons submitting leaflets will be rewarded with merchandize equivalent to the value of the money leaflets. It was said that people who had reported these leaflets were rewarded with tobacco. About two days later, I heard that approximately thirty of the leaflets were found in a Kaesong department store when the store cashier totaled the day's receipts. I also heard that a Social Safety man used one of the leaflets to purchase cosmetics at the Cooperative Farm Store in order to determine whether the clerk would check the currency. When the saleswoman took the leaflet without checking it closely, the Social Safety man reprimanded her severely. I saw the North Korean one WON note leaflet at a meeting of the RI (lowest administrative division ranking below a township in the United States) cooperative farm Party Committee when a Social Safety officer showed a few copies of it to some members of the Committee and told them to gather up all such seditious leaflets, especially from children. I later found out that one of the copies of this leaflet had been turned in by a salesgirl serving at the RI cooperative farm store who received it as payment for a notebook sold to a child. The salesgirl was severely scolded for being late in reporting the leaflet. Many children use to carry the one-won note leaflet with them, mistakenly thinking that the leaflet was a North Korean one-won note. I heard some children tried to buy candy with this leaflet at the Cooperative Farm Store, but the storekeeper scolded the children severely, warning them that the leaflet was not money but a South Korean leaflet on which poison was applied. The curious thing about this operation is that none of the Americans who designed the leaflet realized the value of a 1 won note in North Korea. It seemed such a petty sum. The banknote vignette was used simply because it would catch the eye and was sure to be picked up by anyone who saw it on the ground. LTC David G. Underhill (Ret.) told me later that he was against the printing of the banknote leaflet. He said, "First, the one won note represented about l-l/3 months pay for the North Korean Army private. If he was found to be carrying one won, it would be cause for suspicion. My second reason was the fact that the first message reaching the target audience would be one of disappointment. Half the leaflets could be expected to land with the money side up. The "finder" would think he had one won, only to be disappointed when he discovered the ROK flag on the other side." Worse, it was not effective. He went on to say, "The entire quantity of leaflets was dropped on a single mission. It was not used by a single defector. However, it may well have been carried by a number of people with the intention of using it if the opportunity presented itself. In psychological operations, this is important inasmuch as it causes the "finder" to make a mental commitment. A part of him belongs to you and not to his own government." LTC Underhill was engaged in PSYOP directed against North Korea and South Eastern Asia for ten years. During that time, he wrote the Handbook on Low, Medium and High Altitude Leaflet Dissemination Guide. 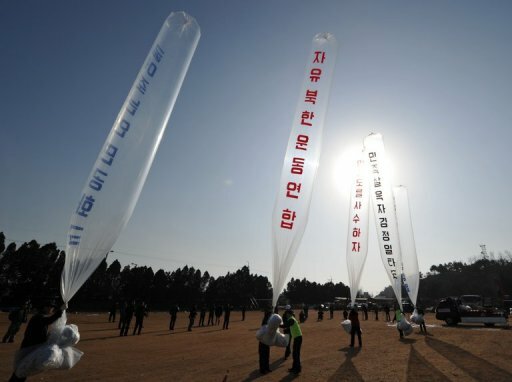 Although the Korean War is almost forgotten today, South Korean patriots and North Korean defectors still send propaganda by balloon to the north. Above, a North Korean human rights activist shows a one-dollar bill, a ten-yuan bill and a leaflet before placing them in huge helium-filled balloons during an anti-North Korea campaign at sea near Incheon, west of Seoul, 10 October 2008. 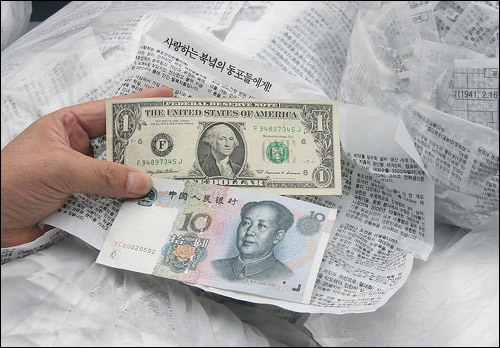 The group released the balloons containing leaflets, dollar and Chinese yuan bills in the direction of North Korea to denounce North Korean leader Kim Jong-il's dictatorship. 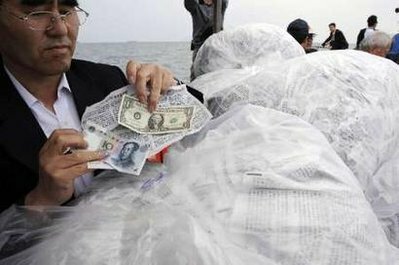 In April of 2008, the same group launched balloons from Ganghwa Island on the west coast of Korea that contained Bible verses and $1 bills. 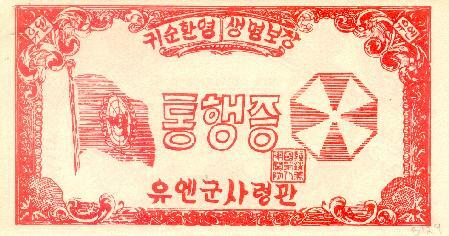 Although the shooting phase of the Korean War ended over 50 years ago, banknotes are still used for propaganda purposes. These modern banknotes used on the Korean peninsula for propaganda purposes made the news again in January 2011, when it was reported that North Korea had executed two individuals who were found with South Korean propaganda leaflets. A high ranking military officer was executed for pocketing dollar bills sent with the leaflets to make them more desirable to pick up. A 45-year-old North Korean woman was executed for reading a propaganda leaflet. North Korea reportedly forced about 500 people to witness the executions of the two. It was reported that six members of the families of the two victims were then sent to a political prisoners' camp. Readers with questions or comments on the above article are encouraged to contact the author at sgmbert@hotmail.com.